Nine-year-old Trille and Lena are neighbours and best friends – at least, Trille thinks that Lena is his best friend, despite the escapades into which she regularly drags him. In the wonderful village of Mathildewick Cove they have plenty of time to re-enact the story of Noah’s Ark, enjoy the beginning of summer celebrations with their families and even advertise for a new dad for Lena. Delightfully funny with plenty of colorful characters and enchanting details, the most important part of this story is how kids deal with the very real problem of worrying that you care about someone much more than he / she cares about you. 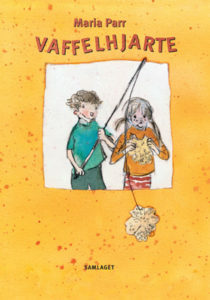 Trille and Lena will make exciting companions for young readers as they share their fun-filled antics, as well as some important understandings of family and friendship.